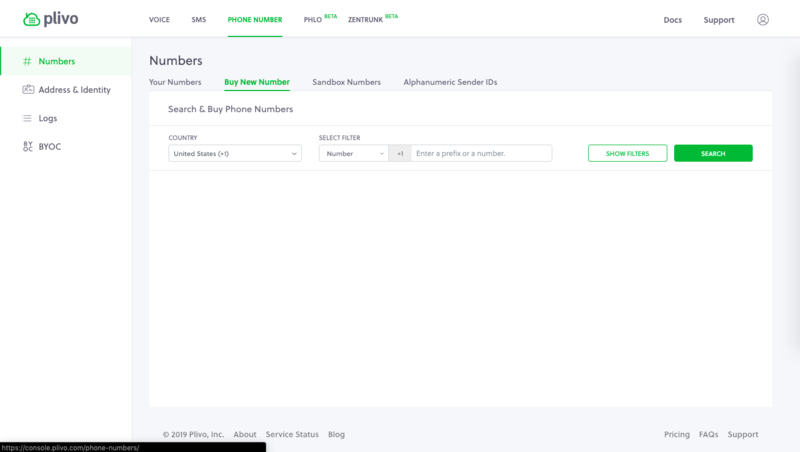 When the call is connected, Plivo detects the phone number. 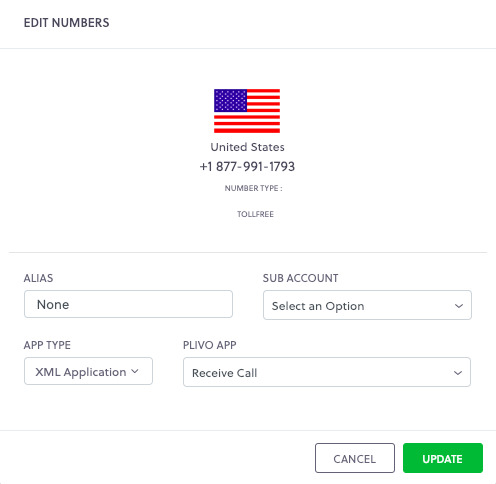 If the phone number is recognized, then Plivo will greet the caller with “Hello (name of caller)”. If the number is not recognized, Plivo will say “Hello Stranger!”. After the name is read, the call is automatically hung up. Let’s assume your web server is located at myvoiceapp.com. Below is a snippet to set up a route on your webserver. Lets call it, greet_caller. Now when we send an HTTP request to myvoiceapp.com/greet_caller this route will be invoked. You will now have to configure this URL in your Plivo application. Copy the relevant code below into a text file and save it. Lets call it, greet_caller. Note: Make sure to use the appropriate file extention for your code (e.g., greet_caller.py for Python). Edit the phone numbers and names that you would like Plivo to recognize (e.g., “14152225555”: “Cathy”,). Insert each entry on a new line. Edit the greeting message (optional). You can customize the greeting message with your own. By default, recognized callers will be greeted with “Hello” and their name, while unrecognized callers will be greeted with “Hello Stranger!”. 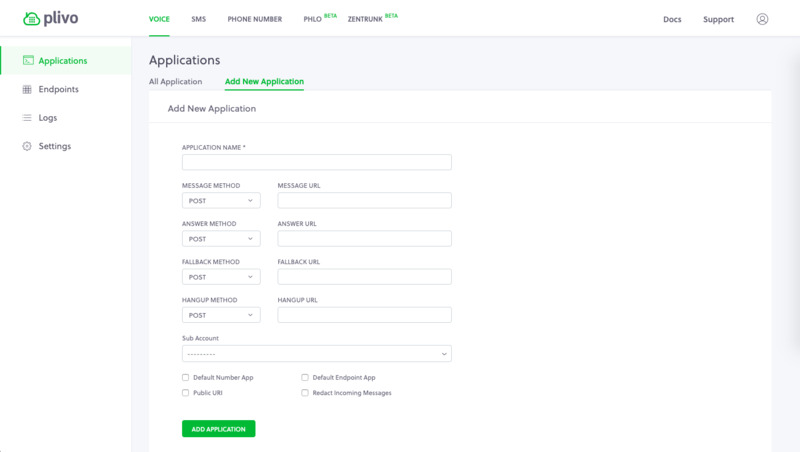 Give your application a name. Lets call it Greet Caller. Enter your server URL (e.g., http://myvoiceapp.com/greet_caller) in the Answer URL field and set the method as POST or GET. See our Application API docs to learn how to modify your application through our APIs. Select Greet Caller (name of the app) from the Plivo App dropdown list. Now, make a call to the Plivo number that you associated with your application. Upon connecting the call, Plivo will detect the call and fetch the answer URL, which resides at myvoiceapp.com/greet_caller. Then, Plivo will execute the XML instruction from your URL and read the caller’s name. Below is the XML output when the phone number is recognized. Below is the XML output when the phone number is unrecognized. Learn how to play a MP3 or WAV file when a call is received.